Oprah can eat bread and still rake in major dough. Weight Watchers says more than 600,000 subscribers have joined in the past year, and they're committing to the program an average of one month longer. That combo drove up quarterly revenue and sent Weight Watchers (WTW) shares 18% higher on Tuesday. The stock has quadrupled in price this year. It's hard to argue with Oprah's results. In October 2015, Winfrey bought a 10% stake in the struggling company for $43 million and joined its board of directors. After two years and a high-profile television and Twitter campaign to tout her weight-loss success -- and her beloved, Weight Watchers-approved bread -- her stake is now worth $344 million. 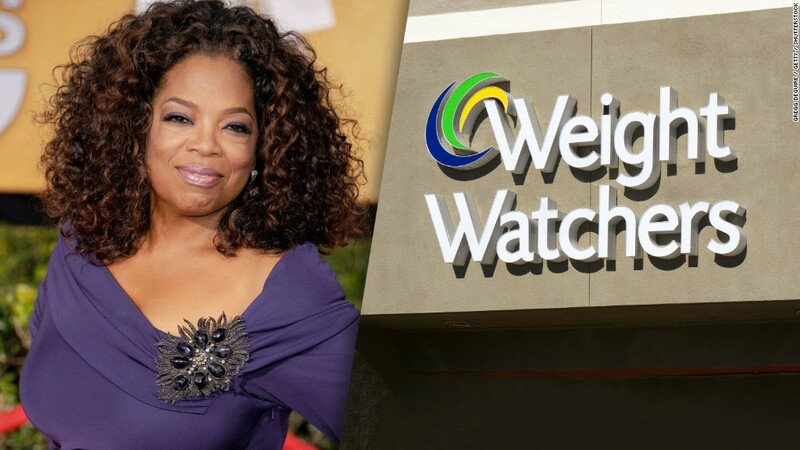 Weight Watchers says it has 3.4 million members, compared with 2.5 million when Winfrey signed on. Members now stick with the program about nine months on average. That's been a key to the company's run this year. The company had a bumpy 2016 as competition from other diet services like Nutrisystem cut into profits. But it has surged ahead in 2017. Nutrisystem stock is up only 38% -- a strong year but nothing like the tear Weight Watchers is on. Winfrey will be front and center as Weight Watchers unveils its SmartPoints food plan to recruit more people during the New Year's diet season. "There's a long runway for the company to keep growing," said Alex Fuhrman, an analyst at Craig-Hallum Capital. "They have a really bright future ahead of them." --CNNMoney's Paul R. La Monica and Matt Egan contributed to this story.